The Water Authority has launched an investigation into the suspected theft of twenty-nine air valves that’s been reported missing following recent site inspections. ”Based on preliminary site-checks, a total of twenty air-valves have been uninstalled from their chambers in Nadele to Votualevu Rice Mill, Malakua to Danny’s Shop – Korovuto in Nadi and another nine have been removed from its chambers in the Varaciva and Waiwai areas in Ba." 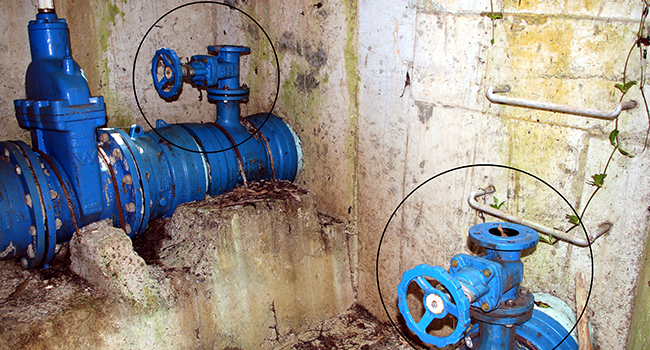 While verifying the pipeline components and valve status from Nagado to the Votualevu Rice mill, in Nadi, WAF identified a total of eleven out of the fifteen air-valves that were installed under the DN600 pipeline project was missing and are assumed to be stolen, also missing are the slabs of the washout valves. WAF is currently conducting various improvement works in the Western Division. In the Nadi area, WAF is currently installing five air-valves to eliminate air locks in the reticulation system. The DN600 pipeline project which was cross-connected at two locations during the recent Nagado Water Shutdown in September was supposed to be tested last weekend before commissioning the pipeline this week. The project is aimed to boost water supply to the existing DN500 that caters for Nadi along the back road and towards the Southern end. The matter has been referred to Police. WAF General Manager Customer Services, Sekove Uluinayau is urging public in the Nadi and Ba areas to come forward with any information regarding the alleged theft of air-valves. Fijians can also contact police on 919 or 917 if they witness anyone illegally removing these assets.